Carrollton, TX (July 23, 2018) - Are you an avid yarn crafter? Do you enjoy posting your latest work in progress or yarn buy on social media? 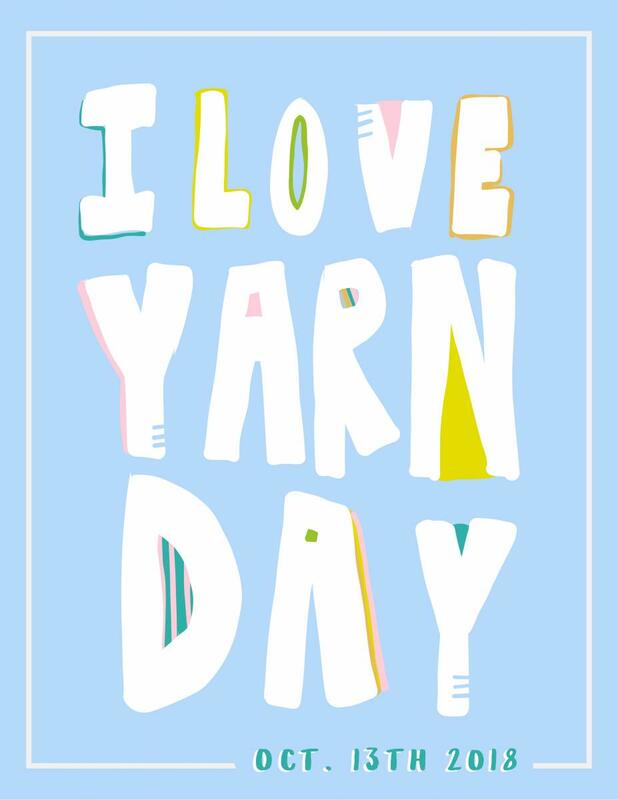 I Love Yarn Day, the second Saturday in October, is a day for yarn enthusiasts to share what they love about yarn crafting. The day will engage crocheters and knitters around the world to share why they love to craft with yarn. Yarn crafts are not only meaningful and fun, but they provide numerous health benefits too. Studies have shown that knitting and crochet can help reduce stress and provide a sense of pride and accomplishment. The crafts can even help with pain management. There are many ways to get involved. For inspiration, ideas and tips for teaching others how to knit and crochet, free patterns, yarn party ideas, contests with fiber-fabulous prizes and more, we encourage everyone to visit our social media pages, including Facebook, Instagram and Pinterest. I LOVE YARN DAY is a collaborative effort of the Craft Yarn Council, a nonprofit made up of the leading yarn companies, accessory manufacturers, publishers and consultants in the yarn industry including: Aksa, Boye/Simplicity Creative Group; Clover Needlecraft; Creative Partners; Creativebug; Fisipe, Interweave Press/FW; Leisure Arts; Lion Brand Yarn; Meridian Specialty Yarn Group, Prime Publishing; Red Heart Yarns; Spinrite; TNNA and TMA Yarns. For more than 30 years the Council has sponsored a wide range of promotional and educational programs, including its highly acclaimed Certified Instructors Program, Discover Knit and Crochet classes and its popular and ever-growing annual I LOVE YARN DAY event. The Craft Yarn Council (CYC) represents the leading yarn companies, accessory manufacturers, magazine, book publishers, and consultants in the yarn industry. For more than 35 years the Council has sponsored a wide range of promotional and educational programs, including its highly acclaimed Certified Instructors Program, Discover Knit and Crochet classes, and its popular I Love YARN Day event (the second Saturday in October), which offers a virtual meeting place for the nation's knitters and crocheters.